Any description of the Phoenician in Scottsdale, Arizona, leaves the indelible impression of a resort that has sailed beyond good taste into the perilous waters of ostentatiousness. Acres of polished Italian marble spread from the lobby down halls and stairs, under Aubusson carpets, and into elevators, with enough left over to fill every one of the baths in the 643 rooms and suites. Museum quality art decorates the public spaces. Yet even guests who arrive expecting to be appalled, as I did, soon end up falling under the Phoenician's spell. Architecturally self-effacing, The Phoenician blends into Camelback Mountain, which rises immediately behind. Its rooms stand out not only for those marble bathrooms but also for their size—none is smaller than 600 square feet—and quietly elegant decor in muted desert colors. All have lanais, the best with views south across the Valley of the Sun. More spacious still are the one- and two-bedroom suites with travertine fireplaces in villas below the swimming pool. All the accommodations are an easy stroll from 27 intimidating holes of golf laid out through the desert (signs warn "Beware of Rattlesnakes"), a new tennis and pickleball center, a New Age spa and fitness center, a Funicians Club for kids ages 5 to 12, and eight food outlets, which range from top-floor J&G Steakhouse, part of the family of renowned restaurateur Jean-Georges Vongerichten to sandwiches, tequilas, and craft brews in Relish Burger Bistro to an ice cream parlor. There is scarcely any reason to leave. In May 2018, The Phoenician debuted a brand-new tennis complex. Located on the west drive, it comprises seven, generously spaced tennis courts—one of them a sunken stadium, all with state-of-the-art LED lighting—two pickleball courts, and a half basketball court. These wrap around a new Athletic Club containing an activities center, refreshment area, a retail shop, and second-floor 4.600-square-foot fitness center with floor-to-ceiling windows looking out on Camelback Mountain and the resort. Tennis Staff. Ivan Rodriguez, who has more than 20 years' experience coaching and developing programs, heads the operation. 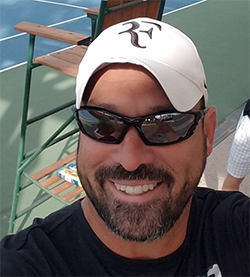 He has introduced daily Live Ball drill sessions into a roster than otherwise includes instructional clinics, junior programs for various ages and abilities, player-matching services, and customized group packages. Courts & Fees. 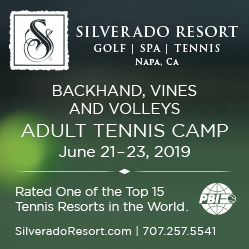 There are seven hard courts, one a sunken stadium, and two permanent pickleball courts.. Court fees: The first hour is free for resort guests; $25/hour thereafter. Golf Courses. As designed by Homer Flint, the generally tight, 6,487-yard, par-71 course demands accuracy rather than length. The front 9 is relatively flat, but the middle holes of the back 9, which skirt Camelback Mountain, combine elevation changes with the intimidation of desert rough and probably account for a disproportionately high number of golfers seeking relief at the bar of the 19th Hole. The 14th tee is a tiny island of grass in a sea of desert foliage. Though the drive only needs to carry 50 yards to reach the bent-grass fairway, it must thread a narrow alley formed by 30-foot sentinels of saguaro cactus, all of which bear dozens of black, golf-ball-sized scars. A few, in fact, have golf balls embedded in the woody branches of their upright arms. Anything that falls short or veers right disappears into the desert, though not before flushing out the occasional chukkar partridge. The intimidation continues on the following hole, whose elevated tees on the side of Camelback Mountain can only be reached by hiking up a zigzag path past signs warning to "Beware of Rattlesnakes." The 115 yards between tee and green contain nothing but cactus, rocks, brittlebush—and, presumably, the odd rattlesnake. Travel Instructions. The resort is a little less than 8 miles from Phoenix Sky Harbor International Airport (PHX).